Get up to 15% off Kylie Cosmetics. Get 20% off of Colorful Accessories. Get 15% off Posters and Wall Art with Rilastuff. Get 10% off Watches and Accessories. Get 20% off Jewelry and Accessories with SecretAura. Get 50% off DVDs and Movies with Galaxy Media Solutions. Get 5% off Books and Digital Goods with Bhoban. Get 5% off Digital Goods. Get up to 10% off Anastasia Beverly Hills Glow Kits. Get 15% off any orders over $1000 includes Vitamins & Minerals, Health & Beauty. Get 10% off Jewelry with CozyQueen. Get 10% off Furniture and Home Accessories with Adeco. Get 10% off Jewelry and Accessories with Curros Corner. Get 50% off Jewelry with House of DeVaul. Get up to 20% off Windows 10. Get 3% off Software with EnjoyBestPrice. Get 10% off VoyageArt Art Objects. Get 60% off Occult Supplies with A New Golden Dawn. 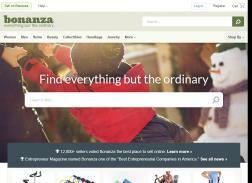 Get 7% off Housewares with Ymia. Get up to 30% off Microsoft Office. Get 5% off Software with Digital Tech1.